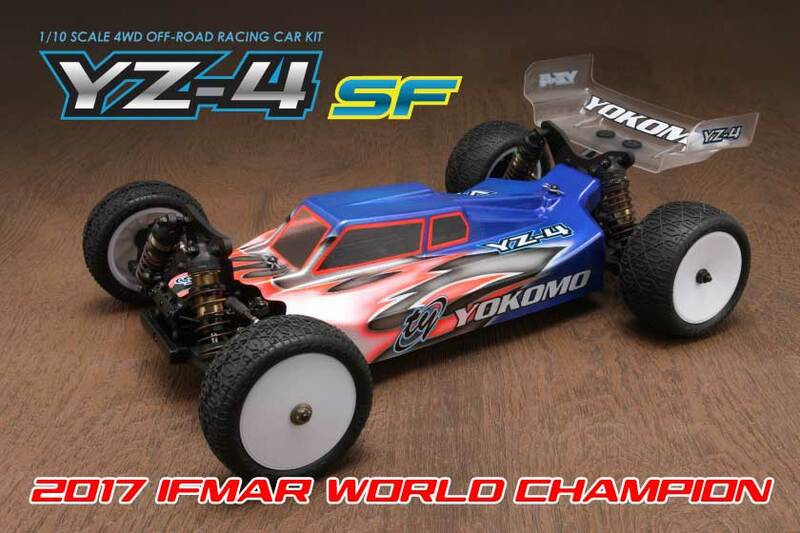 Yokomo's New YZ-4SF 4wd Buggy had the perfect debut in Xiamen, China where Yokomo Factory driver Ryan Maifield won the 2017 IFMAR 4wd Buggy World Championship! 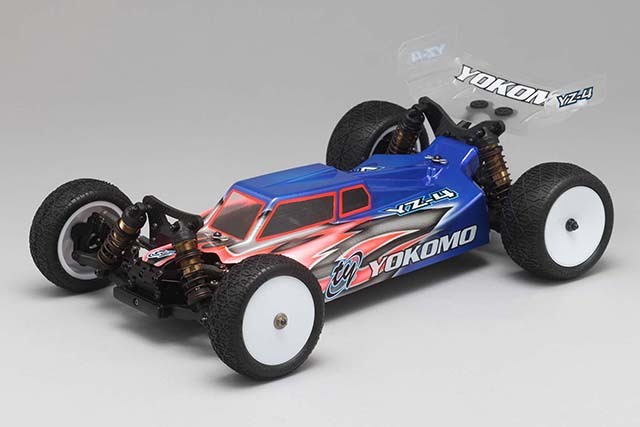 This is the most advanced shaft drive 4wd off-road buggy on the market. 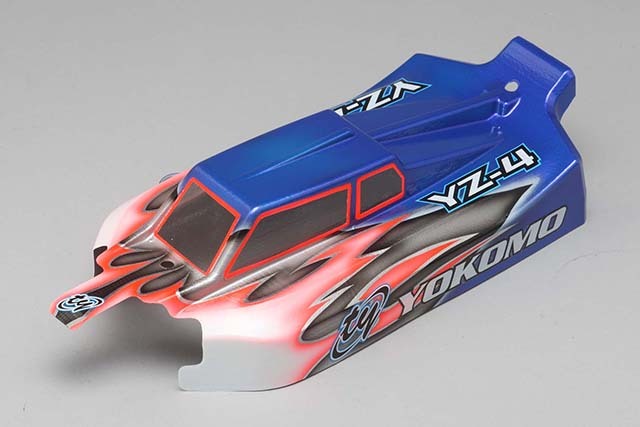 Since the release of hi-power brushless motors, the YZ-4SF has been carefully designed around this. 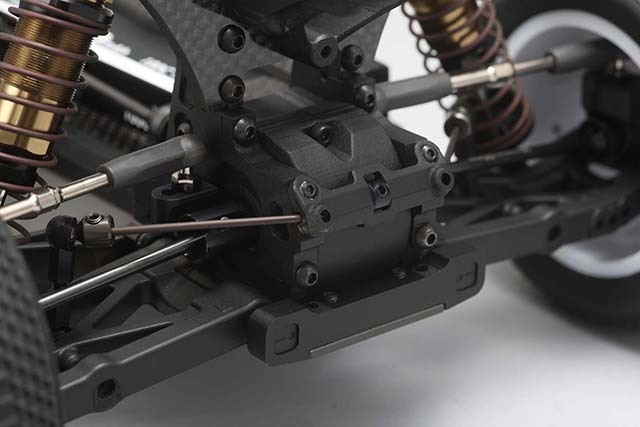 With the motors anti torque and vertical motor mount layout being a key factor in not causing an imbalance in steering. 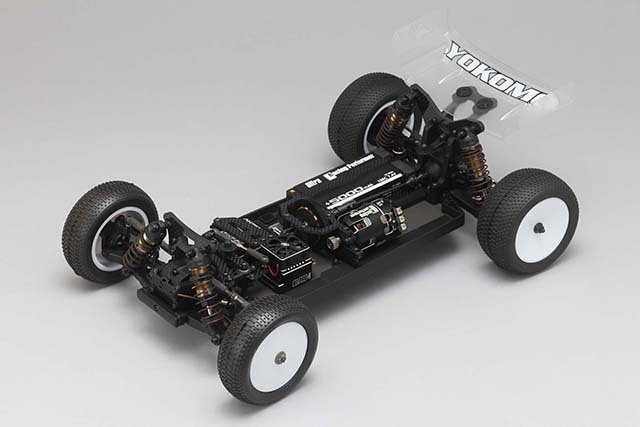 Now this shaft drive car can perform more aggressively while staying stable even through difficult jump and cornering sections. Of course, excellent throttle response is delivered by this unique shaft drive system while also remaining dirt/dust proof. 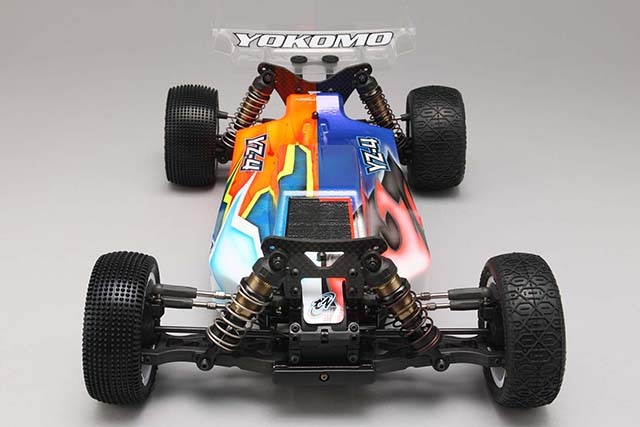 The YZ-4SF has been designed so that regular drive train maintenance is very easy. 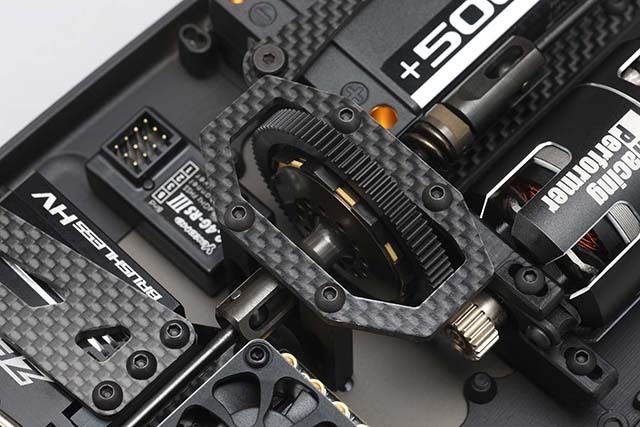 The front and rear aluminum gear boxes are sealed very well and the height of the bulkhead can be easily adjusted by exchanging the eccentric cam on both sides. 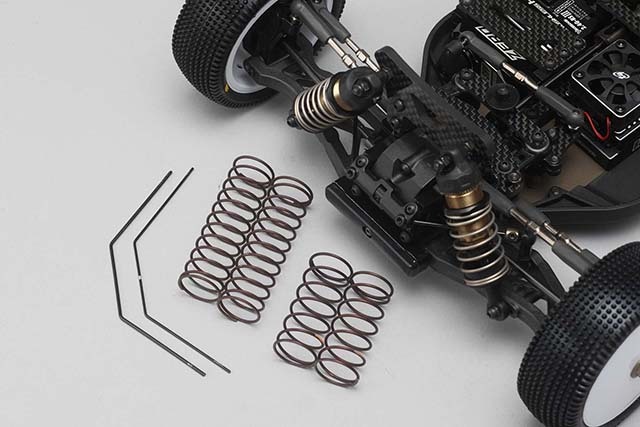 Fine-tuning the differential position (the angle of the dog bone) against the height and suspension geometry is an important setting option which has a significant impact on the overall raction and cornering of the car. It's possible to match the various track conditions and driving styles to provide the perfect balance from the front to the rear of the car. This will prove to be a big advantage in fine tuning each set-up. Also, the YZ-4 SF kit includes two types of front and rear shock springs. Both for low-grip surfaces such as dirt, along with high-grip surfaces such as carpet and astro. 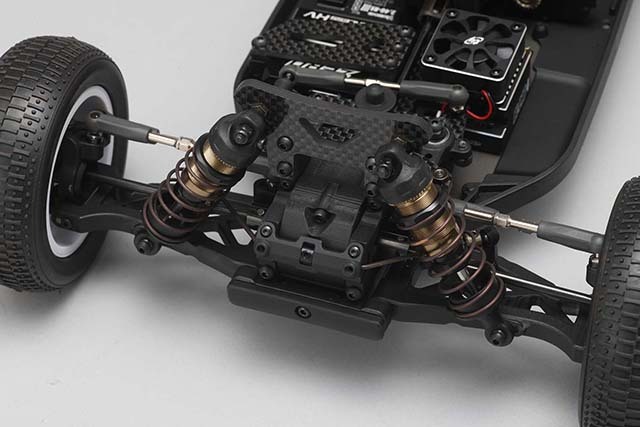 Front and rear stabilizer bars, along with gear differential oils are all included so each customer can select the ideal set-up for their specific surface. 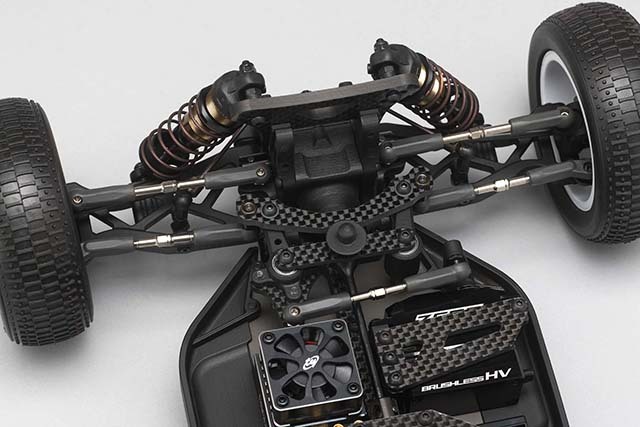 World Championship proven performance with the freedom to make multiple set-up changes allows you to drive the best in any off-road situation.